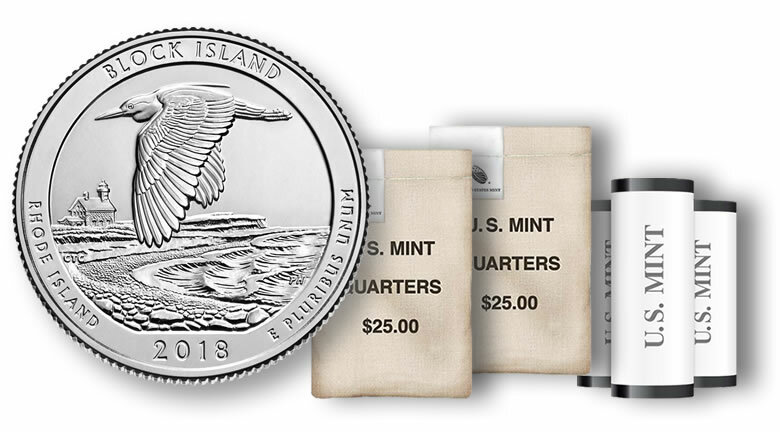 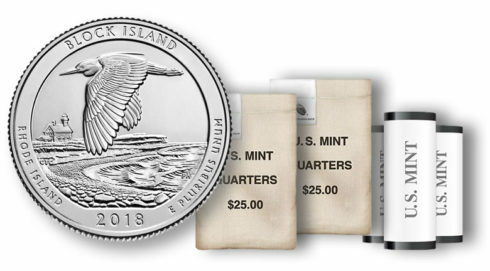 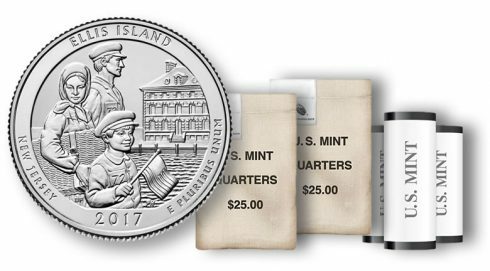 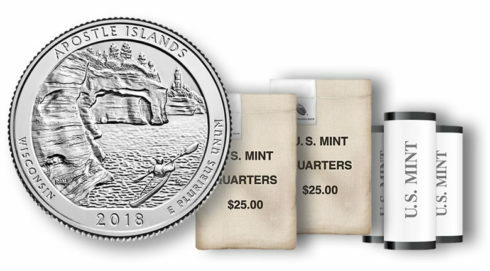 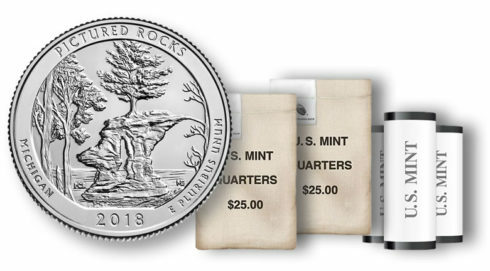 Next Tuesday, November 13, the United States Mint will offer circulating-quality Block Island quarters that are struck at three production facilities and presented within a variety of roll and bag products. 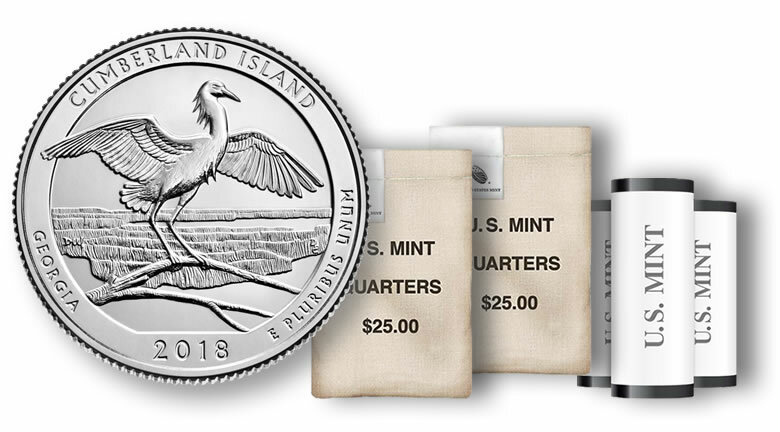 On Monday, August 27, Cumberland Island quarters become available in United States Mint roll and bag products. 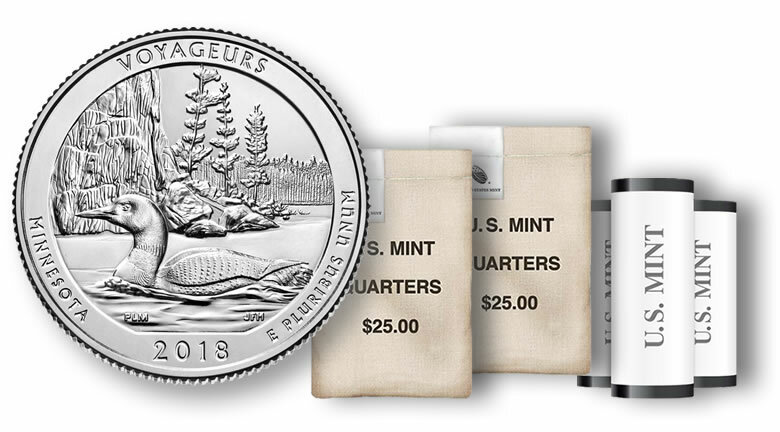 On Monday, June 11, Voyageurs National Park quarters in circulating quality make their debut in United States Mint roll and bag products. Rolls and bags of quarters celebrating Apostle Islands National Lakeshore in Wisconsin went on sale Monday, April 9, 2018. 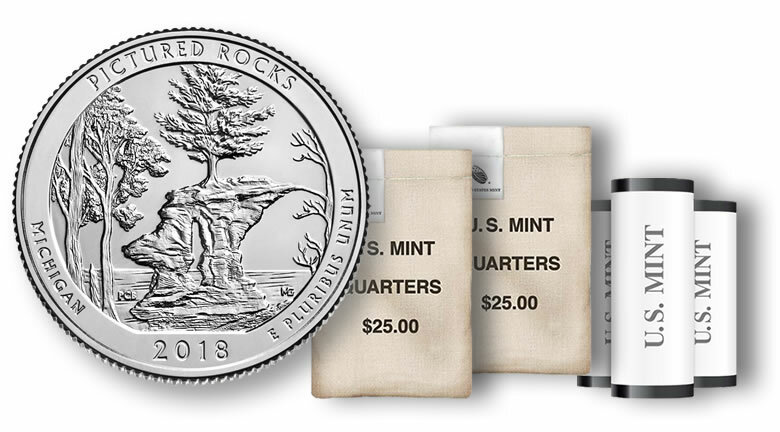 Rolls and bags of quarters showcasing Pictured Rocks National Lakeshore in Michigan go on sale Monday, February 5, 2018. 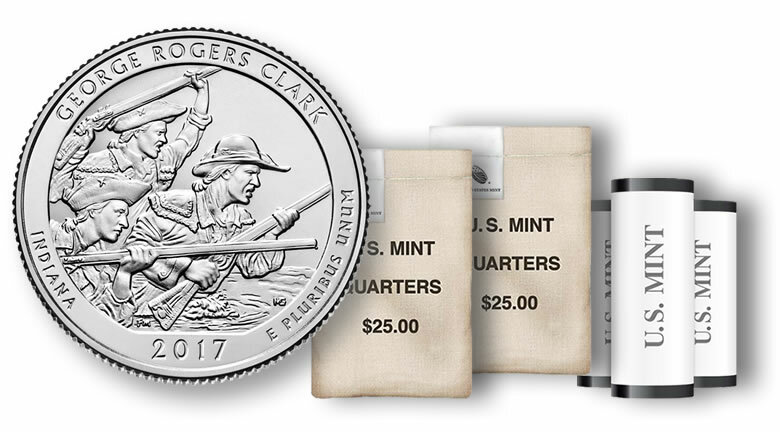 Rolls and bags of quarters depicting George Rogers Clark National Historical Park in Indiana become available Monday, November 13, 2017. 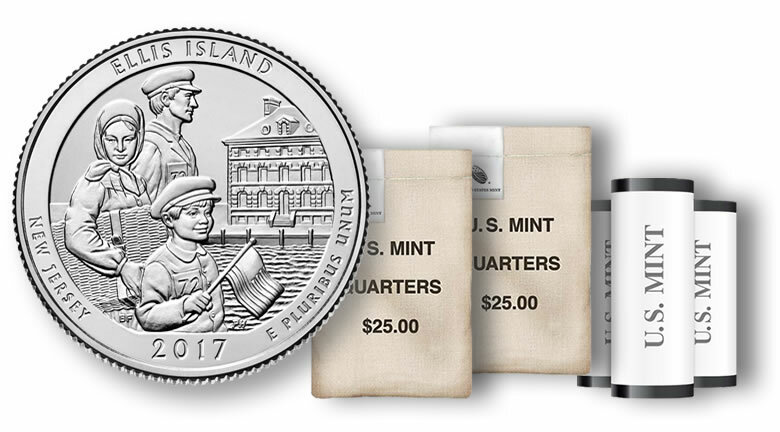 Rolls and bags of quarters depicting Ellis Island in New Jersey go on sale Monday, August 28, 2017.